At One Shenton, it is not difficult to spot the The Bank Bar + Bistro, standing tall with its beautiful full height glass façade. 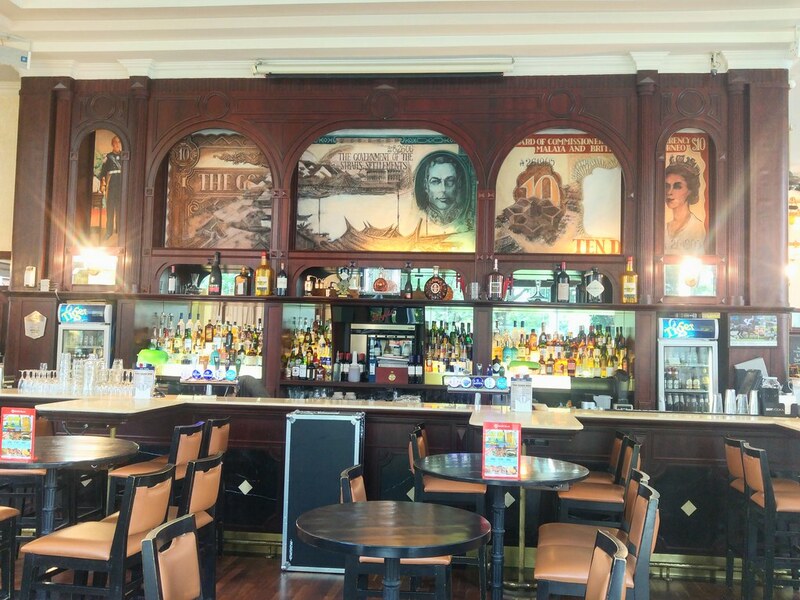 It's been 6 years since it started building its presence in the business district and has established quite a few classic favourites among the CBD crowd. 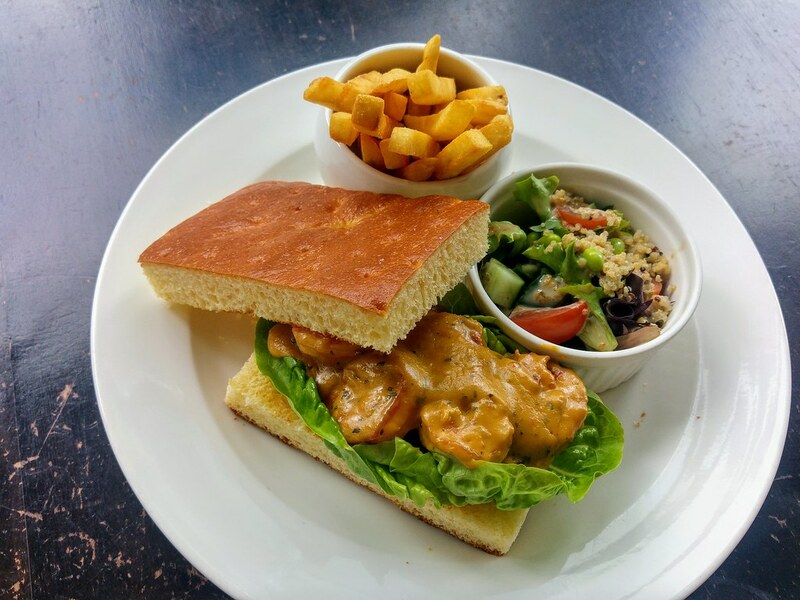 It has recently launched a brand new menu, with 20 brand new items up on board while retaining some classic favourites. 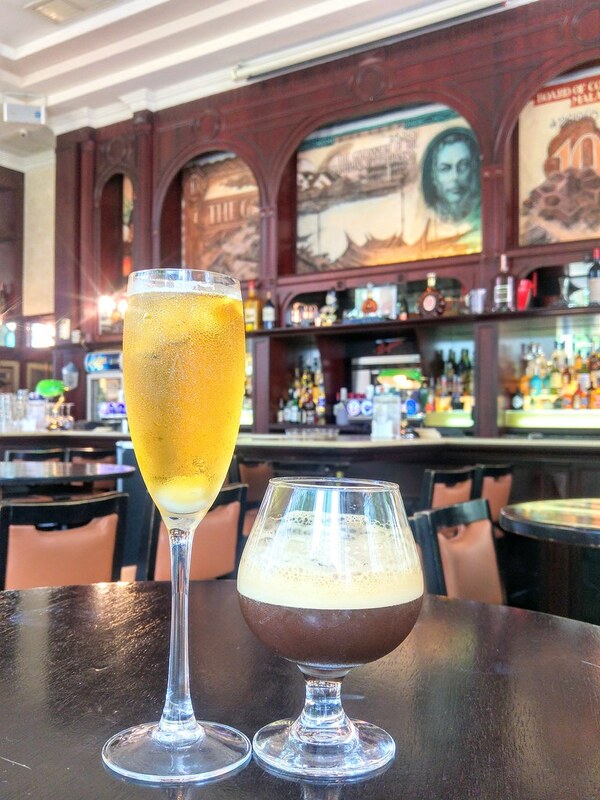 We ordered a couple of The Bank's signature cocktails to pique our tastebuds. The Millionaires Espresso is indeed an ideal post 9-5 perk me up drink.The concoction is quite simple but I really enjoy its bitter-sweetness. I was surprised that no one really orders this drink. Whereas for the seemingly more exciting Godfather's Offer, the alcohol is simply too overpowering. 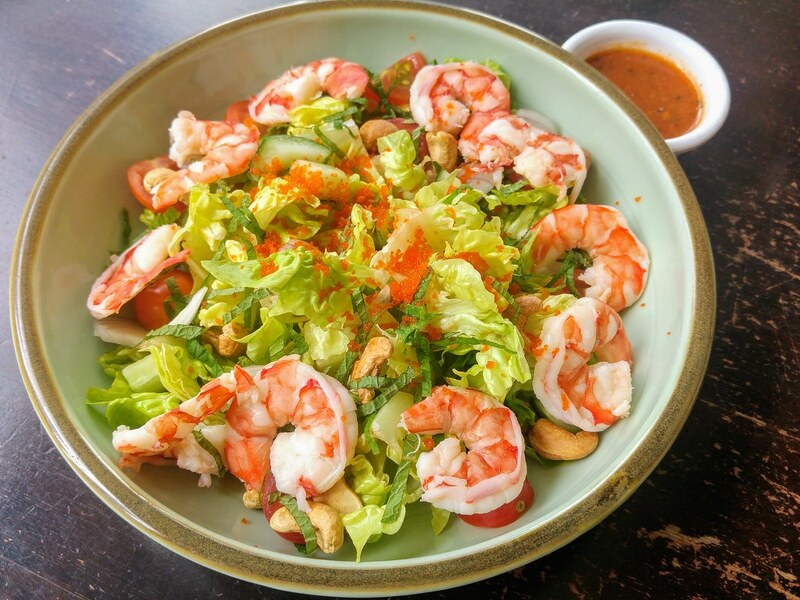 Spicing up your regular light and healthy option is the Spicy Prawn Salad ($18). The consistency of the dressing is surprisingly light on the palate as it isn't too starchy and thick like those Thai chilli sauces. I love the crunch and nuttiness from the roasted cashew nuts which is necessary to make it a more satisfying salad. There could be more variety of greens mixed in, rather than just plain lettuce. 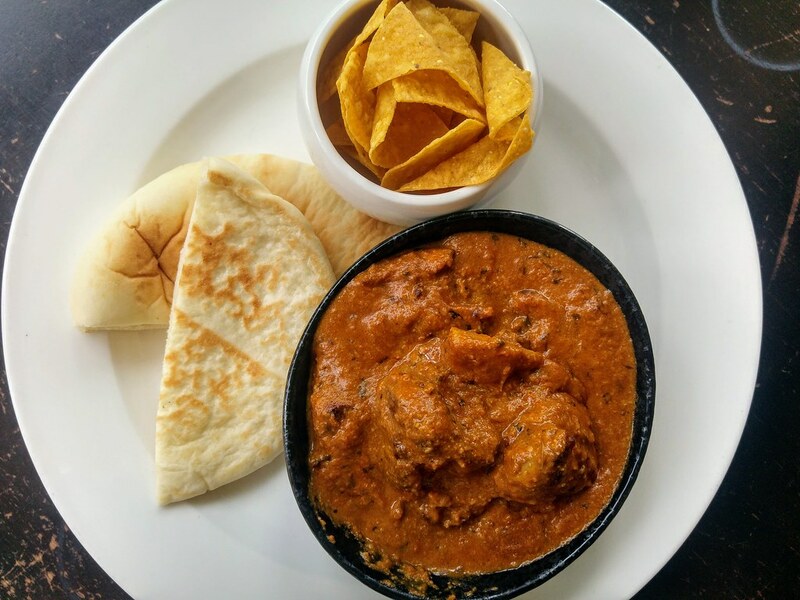 One of the latest Mains is Chef’s secret recipe Butter Chicken ($22) using chicken thigh in butter and rich tomato gravy served with warm pita bread and crispy corn chips. This is not your usual pub-style food but it's way better than one. It's India style butter chicken but a lot more appetizing with the tang lent from tomato. Although it doesn't carry the heat, the kick of eating this curry is nothing less with its aromatic spices. The chicken cubes are extremely tender. It's definitely less oily than the original, you might be hoping there are more corn chips to clean up the gravy. 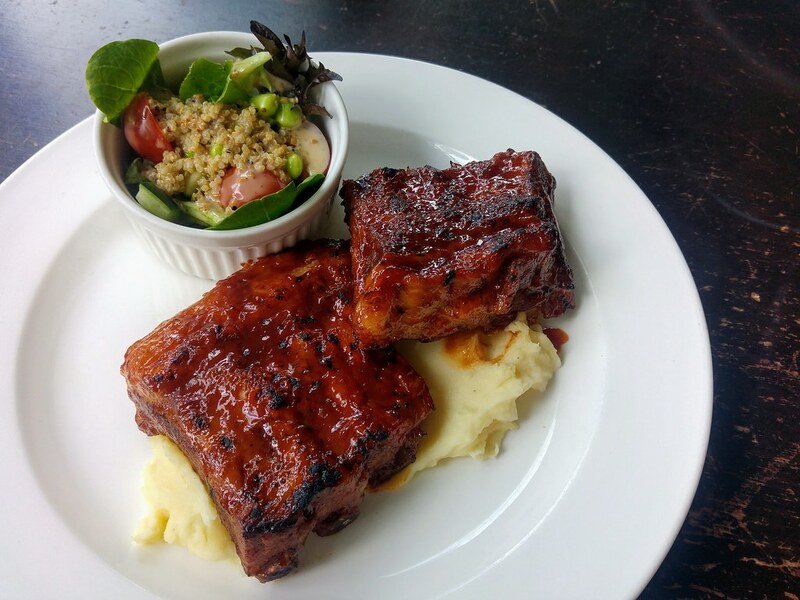 Ribs is always ideal for sharing which makes the BBQ Baby Back Pork Ribs ($24) a mainstayer. The meat is tender but not the fall-off-the-bones kind. 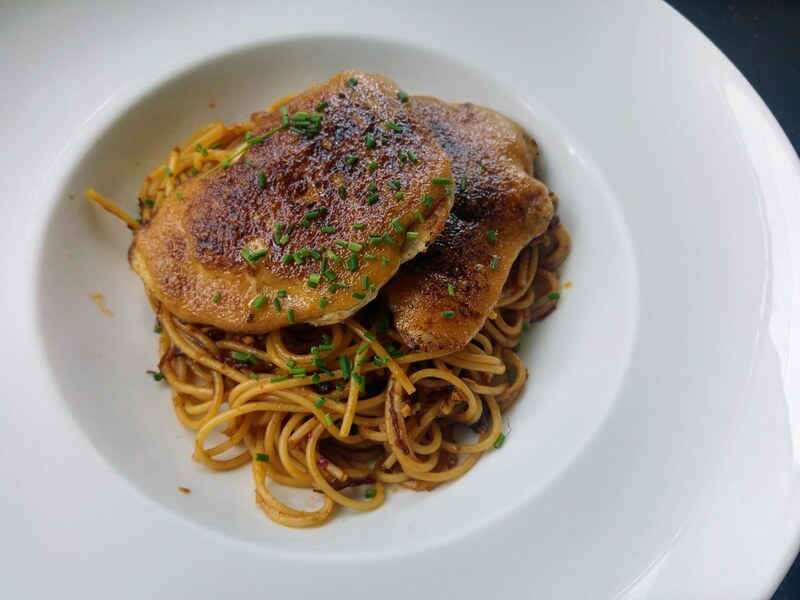 Pasta – Oriental Seabass Pasta ($20) is like an Asian alio olio with pasta dry tossed in spicy XO sauce. This is a much better thought through Asian fusion pasta which I have tried. The seabass has a layer of torched soybean glaze. It tastes a bit like miso mayonnaise which reminds me of the mentaiko glaze of aburi sushi. The best part is the charred portion which is sweet and savoury, with a tinge of smokiness. The fish fillet could be thicker so as to better support the strong flavours of the glaze. Riding on the trend is the Salted Egg Prawn Sandwich ($18). Given that there are so many exuberant sandwich joints in this area, this somewhat pales in comparison and lacks appeal. The new desserts here are a bonus. 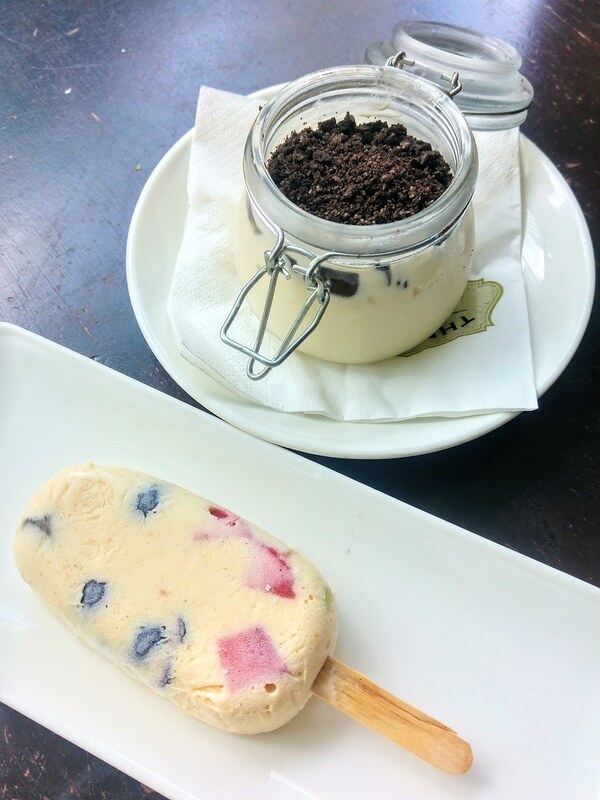 I had both Homemade Fruity Plum Yogurt Popsicle ($4.50) and Oreo Baileys Cheesecake in Jar ($5). The popsicle is packed with berries and fruits and I wouldn't hesitate to choose this over a Magnum. For something more indulgent, the cheesecake has baileys embedded in it, elevating its X-factor. 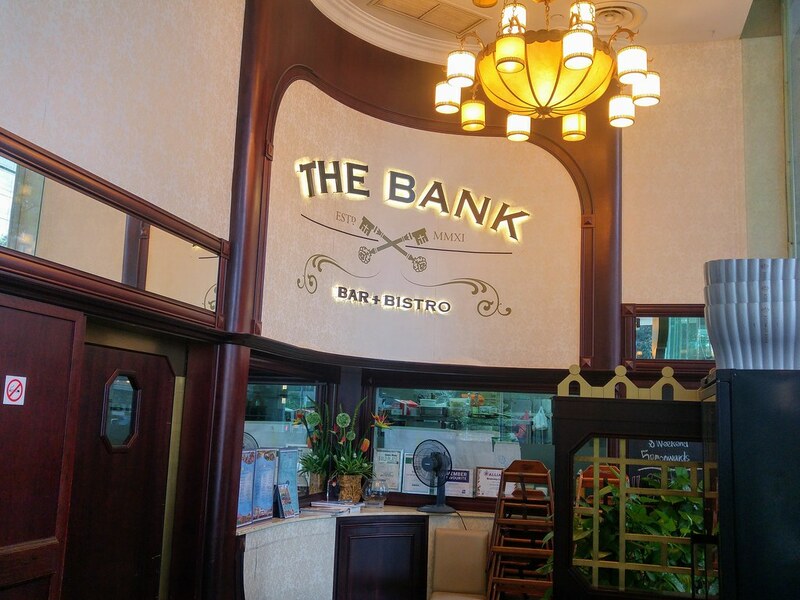 For an introductory period, you get to enjoy selected new menu items (main course, pasta, sandwich and salad) with The Bank Bar’s 1-for-1 dinner promotion from Saturday to Tuesday including public holidays from 5 p.m.